During Sony’s presentation at Comic Con Experience 2017 in Sao Paulo, Brazil, the star of the Venom movie, Tom Hardy, spoke to the crowd in a message recorded from the film’s set in Atlanta. Hardy promised to do the character of Venom justice and bring lots of action and dark humor to the role. 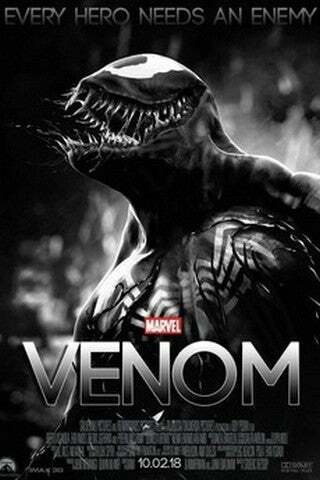 He also stated that the film was important to the Marvel universe and that it would be inspired by the Venom: Lethal Protector miniseries. Venom: Lethal Protector was a six-issue miniseries written by David Michelinie and drawn by Mark Bagley, Ron Lim, and Sam Delarosa. The series was published by Marvel Comics in 1993. The series begins with Venom and Spider-Man agreeing to a truce and Venom moving to San Francisco. San Francisco as the setting of the Venom movie was also confirmed by Hardy. In the case of Venom movie, it seems like the Life Foundation’s involvement will be used as the origin story for Carnage, the lethal symbiote spawn who attaches to serial killer Cletus Kasady (rumored to be played by Riz Ahmed in the film). Carnage is rumored to be the villain of the film and is considered Venom’s archenemy in the Marvel Comics universe. Tom Hardy was announced as the star of Venom in May. The film will be directed by Ruben Fleischer and is the first installment of Sony’s Marvel Universe, a shared cinematic universe that will include Silver and Black, a movie featuring Silver Sable and Black Cat, and the Morbius movie.